Oliver was born in Edinburgh in 1977 and grew up in North Berwick. He became a classroom music teacher in Aberdeen and in 2000, he moved to Glasgow, where he studied at the Royal Scottish Academy of Music and Drama with John Maxwell Geddes, gaining a Distinction for his Masters degree in 2002. 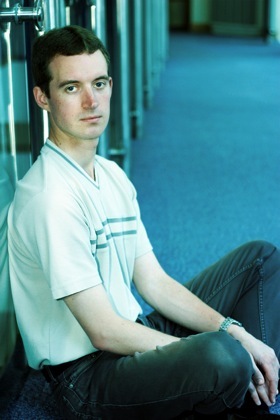 He finished his PhD in 2006, supervised by Gordon McPherson and has recently written works for the Paragon Ensemble, the National Youth Choir of Scotland, London Sinfonietta, the Hebrides Ensemble, Psappha, the John Currie singers, SYMPOSiA, the National Youth Orchestra of Scotland, the New Music Players and the Royal Scottish National Orchestra. In 2002, he received a silver medal from the Worshipful Company of Musicians in London and in 2004 he won the Mendelssohn Scholarship. Over the last few years, he has had works performed in the Glasgow Proms and at festivals in Oxford, Edinburgh, Manchester, Aldeburgh, Cluj-Napoca, San Francisco and Berlin, with several broadcasts in Europe and Asia. Recent endeavours included a 20-minute work for the City Halls in Glasgow, for large choir and the BBCSSO. He is also frequently involved in the creation of music for theatre, teaches at the RSAMD and has recently completed music projects for people with cochlear implants. Oliver is currently developing a comic-book opera with Hampstead Theatre, in London. Since 2007, he has been on the board of the Scottish Music Centre, where he is also a member.